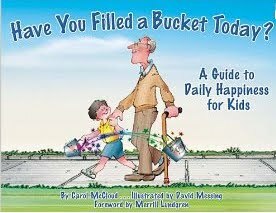 The other day one of the fabulous blogs I follow posted about two great little books, Have You Filled A Bucket Today? and How Full is Your Bucket?. We also use these books at my school. At the beginning of the year we had an assembly and two of our grade eight students read the book to the school while it was projected over the large screen. Each classroom has a collection of raindrops which we fill out when someone has filled our bucket. The completed raindrops get turned into the office where they are read during the morning announcements, then they are posted on a central bulletin board. "Filling the bucket" is part of our daily language at school. That being said, I have the cutest story to share with you. This evening at supper, I leaned over to give my husband a kiss and tell him that I loved him. My little three-year old piped up, "you just filled Daddy's bucket". Apparently, she has been reading and learning about the books at her daycare - I had no idea. It was such a sweet moment, that it filled my bucket! Tonight I'm going to try to fill your bucket by sharing two of my favourite interactive websites for the classroom. These sites are especially fantastic on the SMARTboard because the students can physically manipulate the information while they are learning. The first site is Math 6 Spy Guys. It is a collection of interactive mathematics resources covering all the junior math strands. Printable worksheets, parent notes, problem-solving strategies, and a glossary are included. Although it was designed for the grade 6 curriculum, it could easily be used in grades 4 - 7. My students LOVE this site!!! They dance along to the music, laugh at the "cheesy" expressions, and beg to come up to the board to complete the problems. It's a fantastic way to review concepts learned in class. 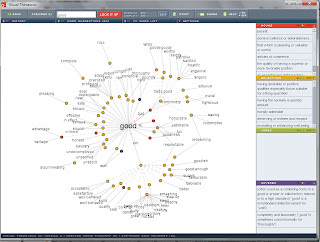 The second site is Thinkmap Visual Thesaurus. This isn't a free site (although you can try it out for free). I think I pay about $20 for the yearly subscription. It is so worth it, though. It is a great tool for my writing lessons. When you type a word into the search box, synonyms and antonyms pop up in a web and move all around the screen. It also has a side bar which groups the words by their parts of speech. Students can click on one of the many new words to get a full definition, find its synonyms or antonyms, and explore the various parts of speech. It's such a fantastic and entertaining tool for grammar lessons, teaching word choice, and banishing those BORING words! You can click on the images to bring you to the websites so you can explore a little more. Have I filled your bucket today??? Now if only I could get blogger to fix my followers gadget, that would definitely fill my bucket!). 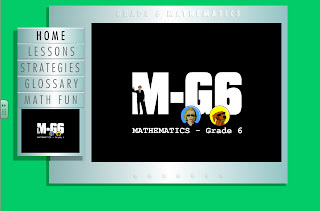 I can't link to the Math 6 Spy Guys...suggestions? Hope it works - it's really a great site! For some reason, it's not working when I try it in chrome, but it does work when I try it with internet explorer ... having so many problems with blogger and my internet browsers lately ... sorry.